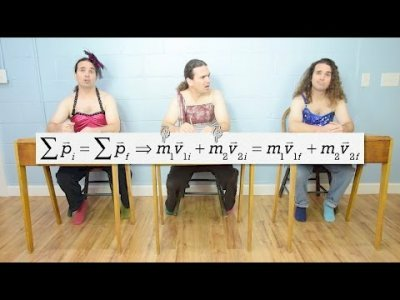 An important review highlighting differences between the equations for Conservation of Momentum, Impact Force and Impulse. Want lecture notes? This is an AP Physics 1 Topic. 2:53 How many objects are in these equations? A big THANK YOU to Elle Konrad who let me borrow several of her old dance costumes! Nice outfits! This will be our unit review video next week!